MMRDA set to draft an overall plan for such a company, two teams of officials recently visited the Singapore and Hong Kong Metro transit authorities on a study trip. Mumbai, Metro Rail News: Singapore has an SMRT corporation, a multi-modal transport system operator, while Hong Kong has MTR (Mass Transit Railway), a major public transport network. 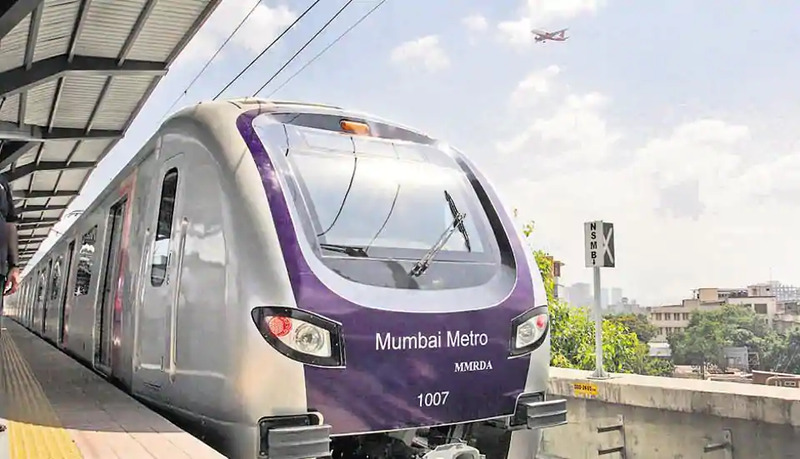 Following the footsteps of the Singapore and Hong Kong Metro transport systems, the Mumbai Metropolitan Region Development Authority (MMRDA) will soon set up a new company for the operation and maintenance operations of all Metro rail corridors coming up in the city. Metropolitan Commissioner R A Rajeev said that in Hong Kong, more than 90 per cent of all public transport users are commuters on the city’s extensive Metro rail network. The Metro services in the city boast a 100 per cent punctuality record, he added. With the MMRDA set to draft an overall plan for such a company, two teams of officials recently visited the Singapore and Hong Kong Metro transit authorities on a study trip. He added that the reason for such efficiency was that the Hong Kong Metro rail system is operated by a separate, autonomous company. “It is good to have a company that operates and maintains the Metro rail systems. A study for the same has already begun; the agency will be formed by next year when operations of the Metro 2A (Dahisar to DN Nagar) begin,” said Rajeev. At present, the Metro 1 corridor (Versova-Andheri-Ghatkopar) is operated by the Reliance Infrastructure led-Mumbai Metro One Private Limited (MMOPL). MMOPL is a special purpose vehicle formed for the Metro; a joint venture between R Infra and MMRDA with R Infra owning 75 per cent stake. The Delhi Metro has its own agency, the Delhi Metro Rail Corporation (DMRC), which looks after the operations of all Metro corridors. A senior official said that having a separate company for a network of over 180 km as planned for Mumbai will facilitate easy collections from the new fare system. Also, a single company can provide last mile connectivity by providing private cabs and buses from metro stations, he added.